What Happens To Your Hair If You Never Get A Trim? 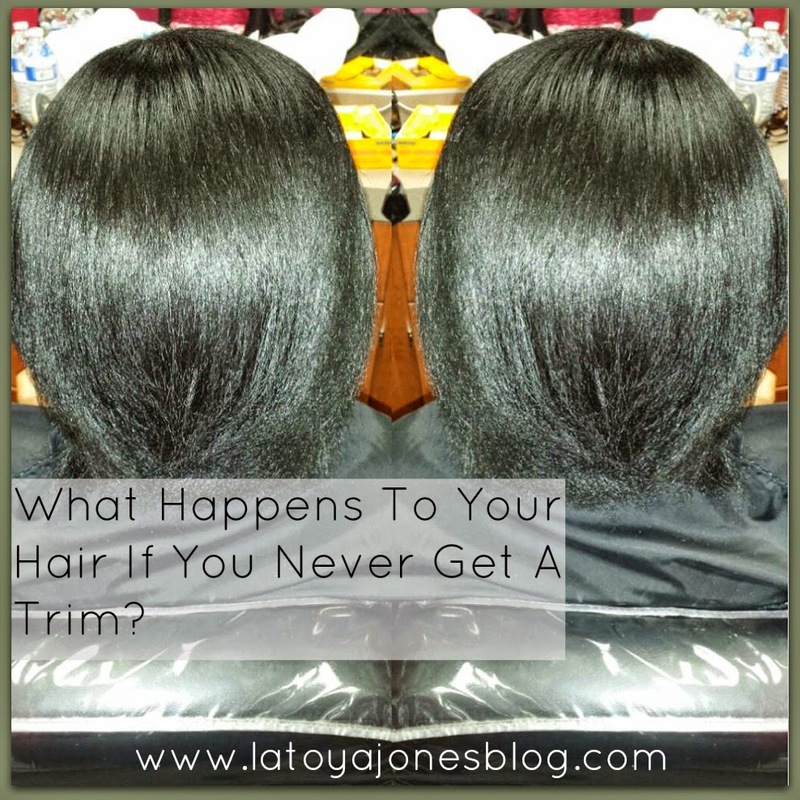 Many, many, many women absolutely despise getting trims. 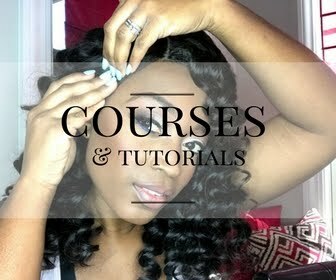 I know, I know you want to retain as much of your length as possible and your hairstylist (not me of course!) always gets a little scissor happy right? The truth is that the only way to get rid of your split ends is in fact to cut them off. 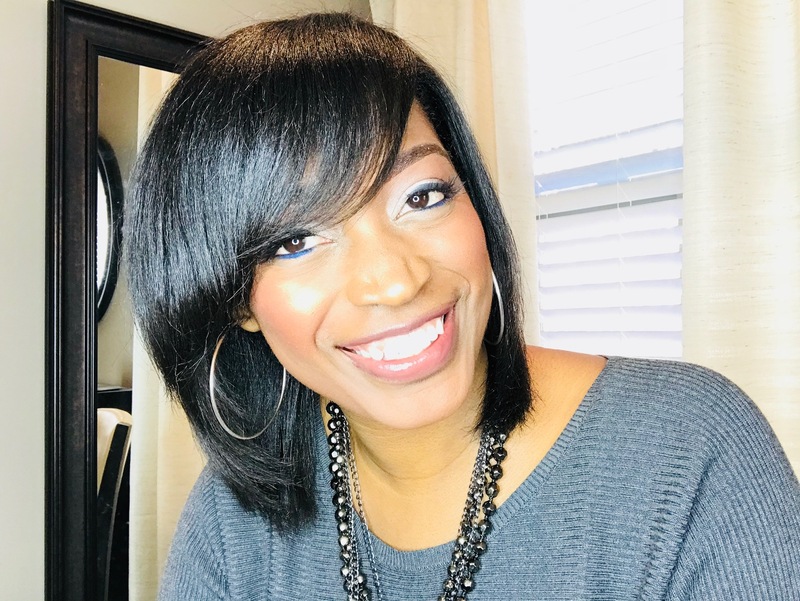 There is not a product out there that will mend, repair, or fix split ends. These products that claim to do this only mask the split ends and make them appear to not be split, almost like putting a bandaid on it. 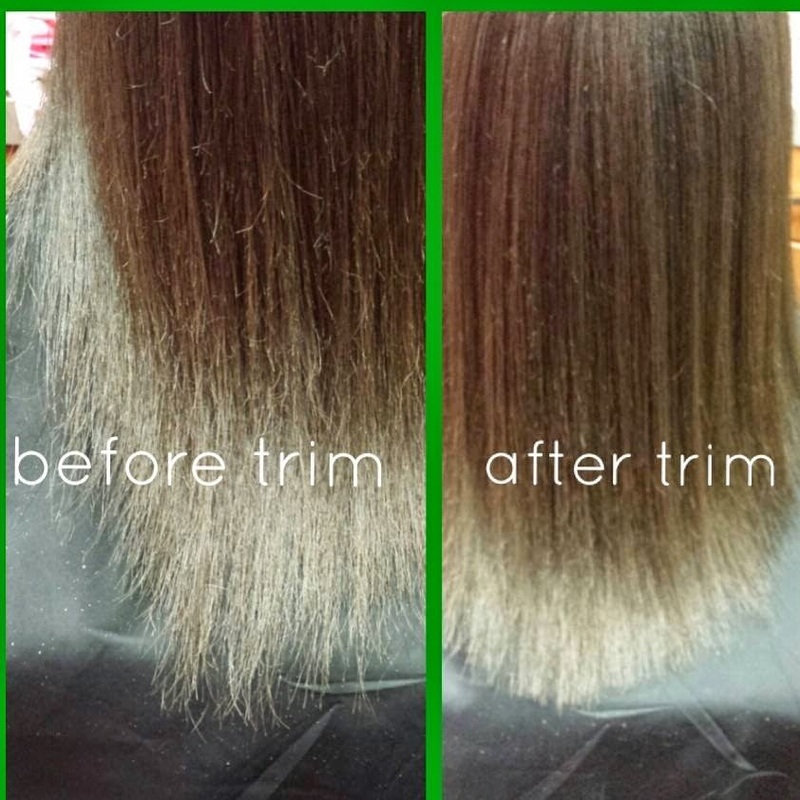 When you do not get your ends trimmed they only continue to split up the shaft meaning MORE HAIR WILL NEED TO BE CUT! To put it more simply, get a little cut now, or a lot cut later.. In the picture above, this client is a young five-year-old who has never had a trim. As you can see her ends are very frizzy and rough. All of the frizzy ends are what need to be cut. Although it looks like a lot only about 3.5 inches needs to be cut. The hair in the back is longer than her hair at the crown of her head so once she gets all of the ends cut it will almost look layered. Not getting it trimmed will result in it being harder to detangle and harder to comb and overall it just does not look as healthy. Yes it looks long but remember that the goal is to have healthy hair. You can have long hair that is healthy and long if you continue to take care of it. 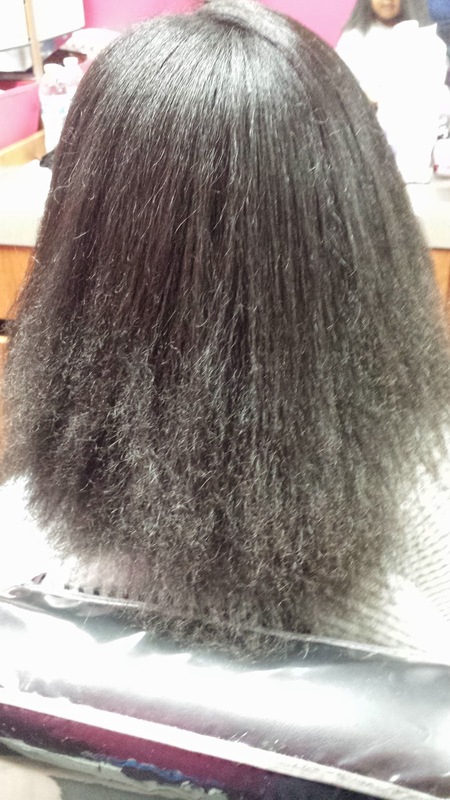 This client's mother did not want to get her child's hair trimmed because mom does not like trims at all. I can only do what I have permission to do so unfortunately she left without one. The ends were so split that the hair on the ends would not curl to give the look of being bumped to it just looks straight. This is a client who was not opposed to getting her hair trimmed. After her trim her hair is still long, just minus the split ends which makes it look much healthier. I have never been one to care about getting my hair trimmed but I do see why some women hate it. 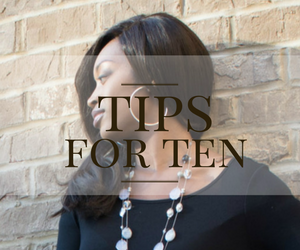 Even cutting the tiniest amount can seem like a lot when your hair seems to grow so slowly. But, take it from me, go ahead and get your hair trimmed! If you need a lot trimmed you can get a little bit trimmed at a time so it will not seem like such a lot at one time but it must go. 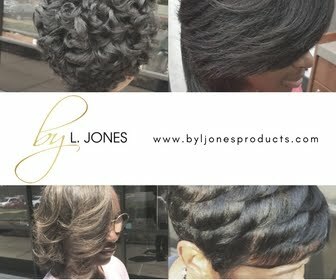 Once you get all of your dead ends off a good time frame to get your trim would be every 10-12 weeks. Thanks for this. I recently got my hair trimmed, even though I didn't want to. Now, it's less frizzy, and holds curls better.